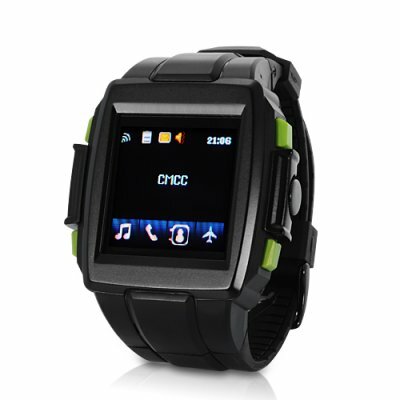 Successfully Added Sky Watch - Ultra Durable Sports Watch Cell Phone with Touchscreen to your Shopping Cart. Sky Watch - Ultra Durable Sports Watch Cell Phone with Touchscreen - designed for those with an active lifestyle. The next time you're out jogging, hiking, or playing tennis, leave your phone at home because this unique 2-in-1 sports watch and watch phone lets you do more while carrying less! Evaluating your performance is hard without knowing exactly what environmental conditions you are in. Want to plan a training schedule to improve your speed or stamina, but need a hand? Let this multifunctional sports watch help you! Barometer, thermograph, compass, pedometer, altimeter, stopwatch... so many tools are included in this elite sports watch so you can keep track of your performance and constantly improve! Let it accompany you all the way to the Olympic Games! A phone on your wrist! Love jogging, hiking, tennis, or other sports activities which require full use of your body? Don't like carrying around your phone while doing so? Well the solution is here! With this unique 2-in-1 sports watch and watch phone, taking and making calls on the go is a breeze! It even includes an easy-to-use and responsive touchscreen for sending text messages and navigating through all the cool features of the phone, including an MP3 player! This hybrid sports watch and watch phone is perfect for both amateurs and professional athletes. Order one now and you can finally go jogging without having to drag your heavy smartphone along. Brought to you by the online leader of wholesale awesome gadgets, Chinavasion. Using the Quad-band technology the phone mode should work in all the countries. The three-axis acceleration sensor allows you to record data of your walking/running even in deep slopes. this product is really very beautiful, I'll buy, so you get the Panther q q ordered.